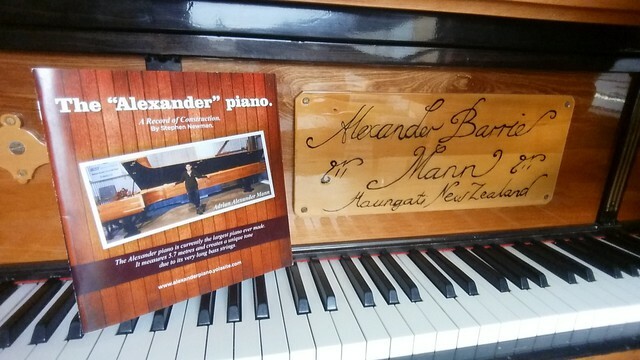 This is a cool wee booklet about the construction of the Alexander piano. It is written by retired piano technician and business man Stephen Newman. Stephen wrote the booklet as record of construction from a technicians perspective for people out side of the industry to understand. Proceeds are for the upkeep of the Alexander piano. Unsigned or signed by Adrian Mann the maker of the piano.